SAVE TIME and FREE UP CASH FLOW! Assign laboratory testing and have your patients pay directly. * Initial release offers 3 laboratory partners to choose from: Diagnostic Solutions (GI-Map), KBMO (FIT), and Labrix (Neurotransmitter). Take advantage of this transformative practice management feature. 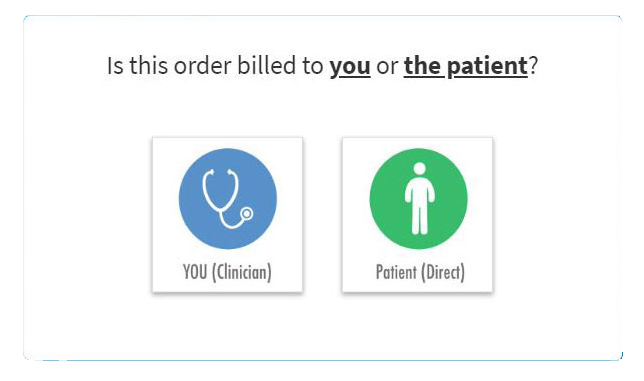 Ordering Speciality Test Kits* using Patient Pay is Easy! Click here to learn how easy. 2 Ways To Get Started! one of our Customer Service specialists. 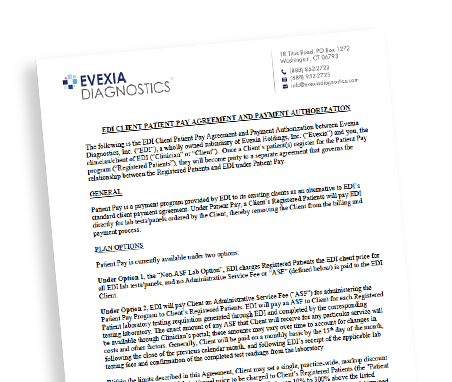 To SIGN UP for the Patient Pay program, please review and sign this Clinician Patient Pay Agreement and Email (info@evexiadiagnostics.com) or fax (888.952.2723) it back to us.